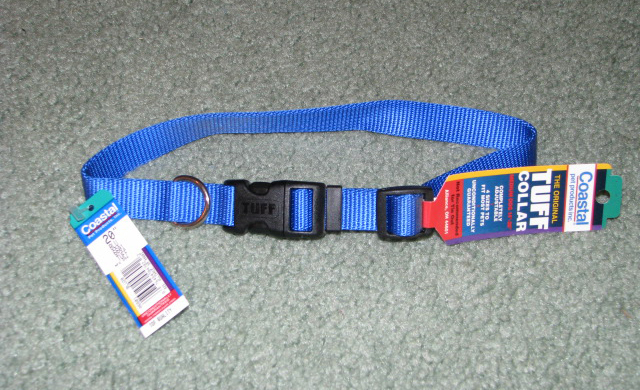 Tuff Nylon Collar by Coastal. Color is blue as shown. Sizes available are 3/8 x 12", 3/4 x 20", and 1 x 20". Completely adjustable dog collar. 3/8 x 12 3/4 x 20 1 x 20"